Together we can do great things! A partnership with us can mean many things - it could be a one-time team up or a life-long coalition. If you're interested in partnering with Washtenaw Area Council for Children, click the button below. Jeffrey Leflein, M.D., the principal investigator, completed his pediatric internship and residency in pediatrics at the University of Medicine and Dentistry of New Jersey and Children’s Hospital, Newark, New Jersey. His fellowship in Pediatric Allergy and Immunology was completed at the National Jewish Center for Immunology and Respiratory Medicine, Denver, Colorado. The Ann Arbor Area Community Foundation is a philanthropic organization with a broad community focus: enriching the quality of life in Washtenaw County. Over 50 years ago, citizens established the foundation as a permanent source of community capital. Think of us as a savings account for the community, with proceeds from our endowed funds distributed as grants for local nonprofits and scholarships. 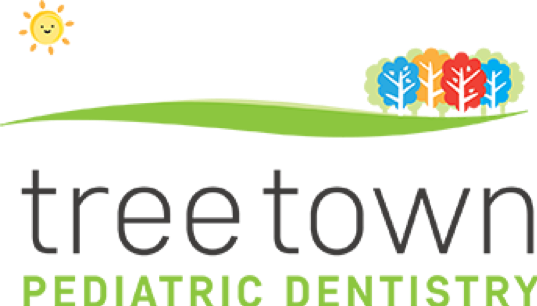 Treetown Pediatric Dentistry provides specialized dentistry for children and adolescents in a warm, caring and "child-friendly" environment. We focus on preventive care to help each child grow a healthy smile that will last a lifetime. The office serves infants, children, teens and children with special health care needs in Ann Arbor, MI. The mission of the Ann Arbor Public Schools is to ensure each student realizes his or her aspirations while advancing the common good, by creating a world-class system of innovative teaching and learning. We will actualize the potential for excellence in all students through inspiration and support. We will ensure meaningful learning through effective instruction. Having opened on January 14, 2009, we’re not the new bank on the block any more. In fact, we never really were. We hit the ground running and started by hiring a talented group of experienced bankers and lenders whose focus is on getting to know you and determining how we can help you meet your financial goals and needs. We paired our people with an array of products and services that are structured in a simple and easy to understand manner. Small class sizes and low child to care giver ratio provide for an environment that focuses on the individual child. Annie’s offers Full-Time and Part-Time child care for ages 6 weeks to 7 years, morning preschool, before and after school care and summer camp programs. Various local field trips occur throughout the year with transportation provided in our center-owned bus. Special Programs also enhance the center-based activities for older toddlers and preschoolers. As a pregnancy medical center, ArborWoman empowers women facing unexpected pregnancies with education and support to make their own decisions regarding pregnancy, and to move forward with hope.At ArborWoman, our focus is on you and your future. We are here to empower you with the information and testing you need to move forward in the right direction. One of Bank of Ann Arbor's missions it to give back to our communities through service, donations of time, talent, and treasure. Each year BOAA supports more than 200 non-profit organizations / charities throughout Washtenaw County and Southeast Michigan. We have been recognized and designated as a National Backyard Habitat and a Schoolyard Habitat. This means that the staff and children provide an environment that protects and shelters various types of wildlife. Bemis Farms offers children unique opportunities to interact with nature. The children have opportunities to plant, nurture, water, and watch a variety of plant life as it grows. For 50 years, Bredernitz, Wagner & Co., P.C. has served as a trusted business partner to clients throughout Livingston County and the Southeastern Michigan area. Established in 1965 by David Bredernitz and later joined by Herbert Wagner, we’ve been providing quality tax preparation and financial planning services to individuals and businesses of all sizes. Capital Tool & Safety Supply is a Michigan based tool and safety supply distributor specializing in American made products. Whether you’re a builder, developer, or homeowner, By Design Interiors is your best choice for creative, original, and professional interior design services. From working with developers on showcase and model home tours to helping homeowners create a comfortable and stylish living environment, we specialize in putting our clients’ needs first. Additionally, we’ve worked with a variety of commercial clients, including builders, architects, small business owners, and medical professionals on both new construction and remodeling projects. We are a school system dedicated to increasing individual student achievement, maintaining a positive, safe, and healthy school climate, while also maintaining fiscal responsibility and promoting interaction between school district and our communities. Child Care Network’s mission is to promote the success of children, families and our community through quality child care education, advocacy and family support. Child Care Network is a non-profit organization whose mission has served the Michigan community since 1971 by helping families find care, helping families pay for care, and helping early learning professionals provide quality child care. Since our beginning, more than 10,000 children have had access to quality early learning experiences in the Southeastern Michigan counties of Genesee, Hillsdale, Jackson, Lenawee, Livingston, Monroe and Washtenaw. C.J. First Candle is committed to the elimination of Sudden Infant Death Syndrome, Sudden Unexpected Infant Death and preventable Stillbirths through education and research while providing support for grieving families who have suffered a loss. Our mission is to provide judgement-free, high-quality, affordable health services to young people aged 12 through 25. At the Corner, we offer a full range of health care, mental health and supportive services for young people as they transition to adulthood. Corner staff—including physicians, nurses, psychiatrists, social workers, nutritionists and health educators—are well versed in young people's unique needs. We provide our services to young people regardless of their insurance status or ability to pay for care. Dr. Kelly and her excellent team aim to provide only the best orthodontic care to give you the healthy bite and smile you need. Dr. Kelly specializes in orthodontics and dentofacial orthopedics for children and adults. We offer the opportunity for straight teeth to any and all ages! Patients will find Dr. Kelly's office to be a comfortable, family friendly environment. The orthodontic staff is helpful, knowledgeable and happy to be part of your dental team. Dr. Kelly and her team look forward to sharing their love of healthy and straight teeth with you. We are a Detroit-based diversified energy company involved in the development and management of energy-related businesses and services nationwide. Its operating units include an electric utility serving 2.2 million customers in Southeastern Michigan and a natural gas utility serving 1.2 million customers in Michigan. The DTE Energy portfolio includes non-utility energy businesses focused on power and industrial projects, natural gas pipelines, gathering and storage, and energy marketing and trading. The university was founded in 1849 as Michigan State Normal School. Today, the university is governed by an eight-member Board of Regents whose members are appointed by the Governor of Michigan for eight-year terms. The school belongs to the Mid-American Conference and is accredited by the Higher Learning Commission of the North Central Association of Colleges and Schools. All children deserve a quality early education. Yet for many families, the expense of a quality program is too expensive. This means that all too often, children go without early education or are put into sub-standard care. Although there are government subsidized programs for low-income families available, the length of day and year of programming does not cover the needs of working or student families. Foundations Preschool offers the highest quality education and care on an affordable sliding scale for tuition. We provide marketing and sales growth strategies for local businesses, community organizations, musicians, artists, and more. Our creative team uses their business experience to craft clearly defined marketing strategies that anyone in your organization can implement. Hope Clinic provides compassionate and practical help to those in need. We offer medical care and dental care to the uninsured, plus a variety of social services to minister to the whole person. We provided over 3,238 medical visits, 4,323 dental visits, filled nearly $473,000 worth of prescriptions, served 6,012 hot meals, and filled 8,330 requests for groceries and produce in 2016. Khk Ventures LLC is a privately held company in Ann Arbor, MI. It was established in 2008 and incorporated in Michigan. We strive to bring to Ann Arbor a foretaste of God’s new world through a Jesus-led, Gospel-centered community called to bring personal transformation, social justice and cultural renewal to this university town and to the world. Knox is a Presbyterian church in the historic Reformed tradition. We subscribe to the great Ecumenical creeds of the universal church—the Apostles’ Creed, Nicene Creed and Athanasian Creed. At Main Street Homes, our mission is to build you a superior home using the highest quality materials, the most talented craftsmen, and the best in innovative architectural design. If you’re looking to build a custom home in Ann Arbor, Dexter, Chelsea, Saline or another extraordinary Michigan neighborhood, let Main Street Homes demonstrate how we can create a stunning residence just for you. We have been a leading provider of optometry services and vision care products in the Dexter community since 2003, and we want to help you achieve and maintain clear vision for years to come. Our experienced eye doctors offer comprehensive vision examinations at our Dexter optometry office and specialize in the diagnosis and treatment of a wide array of eye diseases, conditions, and problems. We use advanced diagnostic technology and vision correction products and are committed to improving the quality of life of persons in the Dexter community through enhanced vision. The school district enjoys a high level of involvement and support from parents and citizens. The Manchester Community Schools offer a robust academic program which includes strong core content area instruction, as well as art education, physical education, vocal and instrumental music, business and technology courses, career technical opportunities, athletics, foreign languages (Spanish and German), Advanced Placement courses, and a broad array of extracurricular activities. The Manchester Community School district provides educational excellence in a caring community. Established by the Michigan Legislature through Public Act 249/250 of 1982, we are the Michigan Chapter of Prevent Child Abuse America. CTF serves as a voice for Michigan's children and families and promotes their health, safety, and welfare by funding effective local programs and services that prevent child abuse and neglect. Milan Area Schools is a community committed to achieving academic excellence for all learners through research, collaboration, and continuous improvement. We believe in providing a safe and orderly environment that contributes to successful learning, implementing sound instructional strategies that are based on research, best practice, and evaluation, and offering real world, 21st century experiences that make learning relevant. Our mission is to consistently exceed the expectations of our clients, associates and shareholders - to be recognized in our communities as THE bank that builds long-term, highly-valued relationships with our clients. These loyal relationships will be earned through the passionate commitment of our enthusiastic and energetic team of associates who provide unequalled client care and solutions. This commitment and focus on our clients and communities will result in consistent, quality earnings for our shareholders. Ozone House is a community-based, nonprofit agency that helps young people lead safe, healthy, and productive lives through intensive intervention and prevention services. Since 1969, we have actively developed unique, high-quality housing and support programs and services that provide support, intervention, training, and assistance to runaway, homeless, and high-risk youth and their families. Through these support services, we help youth develop essential life skills, improve their relationships, and enhance their self-image so that they may realize their full potential for growth and happiness. Safe Kids Worldwide is a global organization dedicated to protecting kids from unintentional injuries, the number one cause of death to children in the United States. Throughout the world, almost 1 million children die of injuries each year. When we talk about preventing injuries, we’re not talking about skinned knees, bruised shins and scraped elbows. Those are the telltale signs of a curious child, exploring the world, pushing limits and seeking adventure. But there are things we can all do to ensure that those bumps and bruises don’t turn into more disabling injuries and deaths. A school district headquartered in Liberty School in Saline, Michigan. The district serves Saline, Pittsfield Charter Township, and a portions of York Charter Township, Lodi Township and Saline Township. St. Francis of Assisi Catholic School is a family-centered ministry of the St. Francis of Assisi Parish community where each student is valued, respected, safe, protected and nurtured as a unique creation of God.We challenge our students spiritually, academically and physically to learn, care, and lead as they work to discover the plan that God intends for them. St. Joseph Mercy Ann Arbor Hospital is a 537-bed teaching hospital located on a 340 acre campus in Ann Arbor, Michigan. St. Joseph Mercy Hospital has been named a Top 100 Hospital and is at the forefront of many clinical specialty areas including oncology, cardiovascular services, neurosciences, and women and children specialists. Stieper & Brust Orthodontics wants to make finding a trustworthy Ann Arbor orthodontist easier for all of our patients. When it comes to oral care, you want treatment from qualified professionals who are invested in your treatment success. Our amazing team becomes committed to helping you achieve your orthodontic goals from the moment you walk through our door. With personalized care tailored to each individual patient, your treatment is more likely to succeed with quality technology, techniques, and genuine care available from our office. STOP. THINK. CONNECT. is the global online safety awareness campaign to help all digital citizens stay safer and more secure online. We encourage all Internet users to be more vigilant about practicing safe, online habits; ensure that Internet safety is perceived as a shared responsibility at home, in the workplace, and throughout our communities; and transform the way the public and private sectors and the U.S. federal government collaborate to make cybersecurity a reality. Teddy Bear Day Care offers a large range of classes and programs for you and your child. Students can begin learning and developing at TBDC in the Infant Program. Once our students begin walking, they transition into our Wobbler Class, where they work on language and literacy development, social skills, and get exposure to mathematical and scientific experiences.As students begin to display independence within the daily routines, they move into the Pre-Toddler Class, and then onto our Toddler Class, where each of the above skills are developed. Students continue on to our Preschool and Pre-K Programs, where these, and a whole new set of learning activities awaits them. Our mission is to provide affordable, comprehensive, and holistic mental health services to individuals, couples, families, children, and groups throughout southeast Michigan. Transformational Choices is a community-based professional service that provides a full range of life enhancing services, including mental health counseling for individuals, groups, families, children, and offers relationship, couples, and marriage therapies, life and wellness coaching and consultation, and organizational evaluation and consulting. Our college strives to make a positive difference in people’s lives through accessible and excellent educational programs and services. WCC is a learner-centered, open-door college dedicated to student, community, and staff success. We offer a wide spectrum of community college services with an emphasis on premier technical and career educational programs. The College staff continuously learns to improve learning. The Washtenaw Coordinated Funders is an outcomes-based, public-private collaborative of seven funders supporting health and human services agencies in Washtenaw County. . We seek to better coordinate our funding of human service programs in Washtenaw County around shared priorities. This effort involves better sharing of information among us, closer work with local nonprofits to establish common community goals, and increased cooperation in our funding decisions. Our mission is to assure, in partnership with the community, the conditions necessary for people to live healthy lives through prevention and protection programs. Washtenaw County Public Health (WCPH) plays a critical role in all of our lives and exists to provide our community with the tools, information, resources and opportunities to make positive health changes. The mission of Washtenaw Intermediate School District is to promote the continuous improvement of achievement for every student while providing high-quality service to our customers through leadership, innovation, and collaboration. WISD's vision is to be the leader in empowering, facilitating, and delivering a high-quality, boundary-spanning, educational system that educates all children through an equitable, inclusive, and holistic approach. United Way of Washtenaw County connects people, resources and organizations together to create a thriving community for everyone. We're igniting a social movement in our community by empowering people to unite and solve complex problems that affect all of us. Whitmore Lake Public Schools is an exceptional learning institute that works towards high achievement and individuality in a community environment. Being on the smaller side, our staff gets to know each student personally, allowing them to tailor teaching styles to students and provide opportunities to help them excel. Your student will never be at a Whitmore Lake Public School where the staff doesn’t know their name. The staff really cares about their students’ achievement, safety, and education, meaning they will work hard to make their success happen. Ypsilanti Community Schools was launched as a new district July 1, 2013. The district had been carefully designed as a dynamic, interactive and innovative educational experience. Experts in K-12 education along with university, business and parent partners have assisted in the development of this exciting educational system. This model is comprised of project-based learning, Small Learning Communities, International Baccalaureate curriculum and a variety of teaching methods that will cater and appeal to a wide range of learners. Ypsilanti Co-op Preschool (located near Ann Arbor, Michigan) has been offering a quality preschool program that involves the family since 1946. At YCP, both the parents and the preschooler enjoy the experience of the first years at school. The preschool program for both 3 year-olds and 4 year-olds provides a balance between play based and structured time in the classroom, supporting individual growth and development.